I'm thrilled to share my experience with High Spirits Essentials Peppermint & Eucalyptus Advanced Therapy Lotion! I love working with cruelty-free and all natural skincare companies so I'm excited to share more about them with you guys! First off, the smell is minty fresh and leaves your skin feeling so smooth. I have VERY dry skin so this product was a real test and I have to say it truly helps moisturize and even out my textured skin tones. It moisturizes without feeling oily or greasy. This cream is packed with organic ingredients: aloe, eucalyptus, and peppermint which help to restore my dry skin and maintain overall moisture and smoothness. 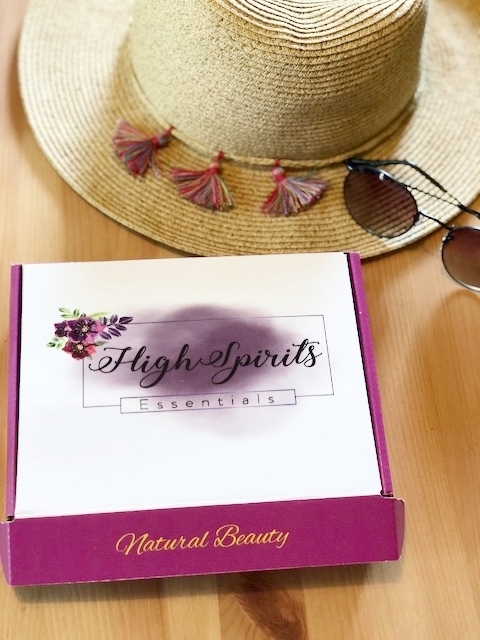 High Spirits specializes in all natural products that address dryness, aging and eczema. This body lotion is not tested on animals and contains NO parabens, gluten, synthetic fragrances, dyes, glycols, EDTA, petroleum or phthalates! (Fun fact: Paraben-free lotion is also great for use on sensitive and dry skin) Another great part - everything is hand made in the USA. Most importantly, this cream is made for ALL skin types! If you suffer from dryness, dullness and uneven skin texture this is a great product for you. It also contains real vitamins and nutrients such as,Vitamins A, E & B5 to help protect skin from natural and environmentally triggered oxidants and elements. Find out more at highspirits-essentials.com and you can purchase your own body lotion HERE!